Where the buzz of West End shopping meets the tranquillity of Hyde Park strolls, an emerging commercial quarter has grown into a premier destination for business, socialising and eating out, all within a stone’s throw of one of the UK’s treasured national monuments. There is huge scope for economic growth and success in this 24/7 district. We want to improve the look and feel of the area and encourage business and leisure to thrive. Businesses want to see an improved operating environment which is safer for their customers, staff and guests. Surrounding communities and schools want the same. Working with Transport for London the BID is bringing forward a package of crossing safety improvements, the length of Edgware Road, from the Marylebone Flyover and Joe Strummer Subway, to Seymour Street in the south. The space around the Marble Arch monument is bigger than Trafalgar Square, and deserves to be a jewel in central London’s crown. 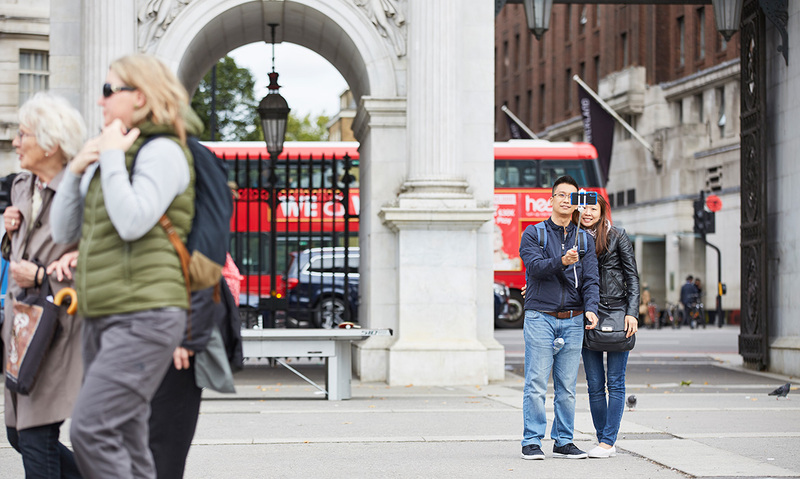 The BID is working with major landowners and Westminster City Council to see a staged series of public realm interventions, breathing new life into Marble Arch. The BID introduced Edgware Road’s very first Christmas Lights in 2016, in response to business requests. These light up the district every year and provide a boost at the busiest time of the year for our retail members. Air quality continues to be a priority for Londoners. The district is bisected by London’s inner ring road, the A5 Edgware Road, which carries a significant amount of freight, buses and taxis every day. The BID encourages our members to make use of our designated Collect:Collect platform to reduce the number of freight and delivery vehicles on the road, as well as DeliverBEST, the diagnostic tool that instantly provides businesses with bespoke recommendations relating to procurement, waste, fleet and staff behaviour change based on the organisation’s needs. We make it easier for local businesses and organisations to procure sustainably, through initiatives such as West End Buyers Club and Click:Collect. The BID is forging ahead to bring additional green infrastructure to Edgware Road in particular. If you have concerns about a particular area or want to raise an issue with us please email us. See the results of our first crossing improvement package, at Great Cumberland Place. We launched the Wild West End Garden in June 2018. Cleaning up London’s air requires us all to take action. Your contribution could start today. Find out how Click:Collect can work for your business.